Valle Frances is one of the main attractions in Torres del Paine National Park; it takes roughly 2 hours to trek into the valley and reach the hanging Glaciar Frances, where you'll hear the rumble of small avalanches in the distance and watch ice calving from the glacier. On the Full Circuit you'd typically approach the French Valley from the east, starting from the nearest refugio, Paine Grande. On the W Trek you'd most likely start from the west, trekking from nearby Refugio los Cuernos. At the start of the Valley you can rest at Campamento Italiano, a campsite in a wood which has become a bit patchy and dirty thanks to the number of trekkers passing through. One good thing about Campamento Italiano is that you can leave your rucksack outside the ranger's office whilst you make the hike up the valley. 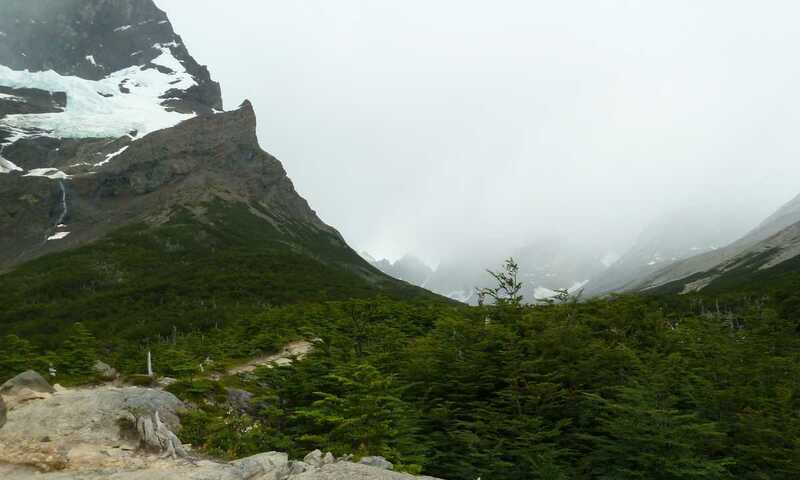 Unfortunately the weather is a big factor in trekking Valle Frances, as mist can make it difficult to see the glacier and hide Cerro Paine Grande, making a hike further into the Valley to Campamento Britanico rather pointless. 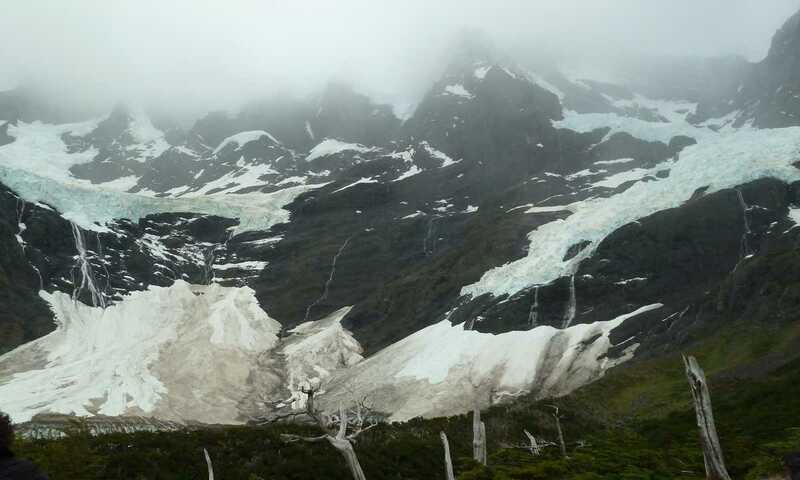 Charlotte trekked in Valle Frances in January (the height of Patagonian summer) but was thwarted by mist, wind and rain when she reached the glacier. If you do make it up to the end of the valley, expect spectacular views of Cerro Cota (2000m) and Cerro Catedral (2200m), a mountain which is said to resemble a cathedral facade.